Breakfast should be eggs-actly how you like it, whether you’re a sunny side up or waffle fanatic. Many local coffeehouses such as Banyan Coffee & Tea serve delicious fare as do the beachside joints in Passe-a-Grille and Madeira Beach. We’re tackling brunch after we hit the gym! 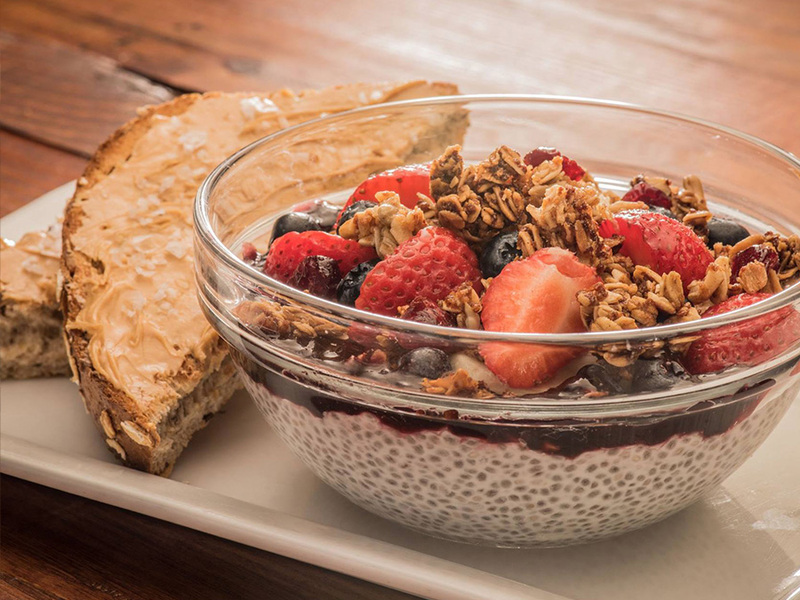 Here are some eye-opening breakfast bistros in the 727area that serve up some of the best breakfasts in St Pete and Clearwater. The Annex: Beach Drive’s adorable boutique/café features savory breakfast sandwiches, egg soufflés, gluten-free oatmeal or waffles topped with blueberries and a healthy acai or fruit bowl plus Kahwa coffee and Mighty Leaf organic teas. Make mine a mimosa or kombucha, please. Clear Sky Beachside Cafe: Excellent breakfasts, especially the rib eye steak and eggs, huevos rancheros or a lobster Brie Bennie. First Watch Restaurant: Saddle up for healthy fare (avo toast) and farm to table craft dishes such as the wild mushroom frittata, hardwood smoked bacon with brown sugar, Applewood smoked bone-in pork chop and eggs, pumpkin pancakes and superfoods bowls. Frog Pond: Two beach locations and one downtown, this is the granddaddy of oversized omelets, quiche Lorraine (3-cheese or sun-dried tomato), fruit-topped waffles, Benedicts and breakfast burritos, seasonally updated. Kitschy frog décor and great service. The Tap Room @ The Hollander Hotel: Some of the best Bloody Mary’s accent the creative omelets, egg scrambles, burritos and breakfast sandwich with hip, retro décor and killer desserts. Lenny's Restaurant: New York deli lovers, stop here for a bagel with a shmear and lox or a knish. The extensive menu, the Danish basket, King Kong omelets (even alligator), stuffed crab bennie potato pancakes and salami with eggs will make you kvell. Maggie Mae's Sunrise Cafe: With two locations, these cozy cafés do Southern faves (pecan waffles, hillbilly taters, country fried steak and sausage gravy, grits), corned beef hash, breakfast wraps or burritos, French toast (banana foster), veggie skillets and Greek or meat-lover omelets and the best California benedict in town (roast turkey, avo, spinach, poached eggs). Maple Street Biscuit Company: Oversized flakey biscuits, drizzled with dozens of different options is all the rage in Seminole and downtown St. Pete. Best of show is The Farmer (all natural fried chicken, pecan wood smoked bacon, cheddar cheese topped with fresh house-made apple butter) and Flip Flop waffles (three house-made maple sausage balls, sausage gravy). Eggs, grits and oatmeal appeal to traditionalists. Sea Turtles Cafe: A St. Pete Beach legend, this picturesque breakfast spot serves traditional English breakfast, eggs with a flat iron steak and the usual suspects, from packages to omelets and serves up some of the best breakfast in St Pete. 2nd and Second: Always open, this gastro-diner serves beer, wine and cocktails and a classic menu with a twist. You can truffle your eggs, ride into the sunrise with a Chicken Artichoke Florentine or Cowboy Omelet (ham, caramelized onion, roasted peppers, chipotle bbq) or get high on the old-fashioned donut French toast drizzled with Boston cream. Hash browns come five ways, topped with bacon/Maytag bleu or Philly brown (shaved steak, caramelized onion, cheese sauce). Skyway Jack Restaurant: The original breakfast joint, turn in when you see Humpty Dumpty and the Rooster. Old-fashioned favorites (Philadelphia scrapple with eggs, S.O.S., creamed chipped beef), iconic omelets (Tex-Mex, pizza), chicken and waffles, pancakes (Nutella) and eggs every style with homemade biscuits and gravy are real eye-openers. Check out the newer Skyway Café near the Gandy as well. Stacey's Cottage Cafe In this quaint historic building, you’ll find the most sensational bagels in town, best topped with bacon and cream cheese for breakfast on the go. Grab a burrito, breakfast sandwich or catch up on the news over a Western omelet. Sweet Sage Cafe & Boutique: Dine indoors or alfresco in the serendipity-decorated garden. Go big with the brunch buffet or choose from tremendous crepes (peaches/pecans), waffles, apple crisp French toast, Benedicts (salmon, California style), scramblers (Italian, roast beef/blue cheese or turkey/spinach) and homemade muffins served with a Bloody Mary or mimosa. Dog-friendly, too. Trips Diner: Solid diner fare, yummy cornbread and over-sized portions perfect for kickstarting the day. The Wooden Rooster: Regular, buckwheat or gluten-free sweet crepes star here, from the S’mores to Nutella and oreo mélange or the simple lemon and sugar crepe. Mix it up with Portuguese scrambled eggs/black forest ham or the skinny goat cheese and spinach egg white scramble. If you are still hungry, 727area serves up dozens of restaurants in St. Pete to Clearwater. Register on 727area and stay connected on what's cool around St. Pete and Clearwater, from restaurants and nightlife to events and more!